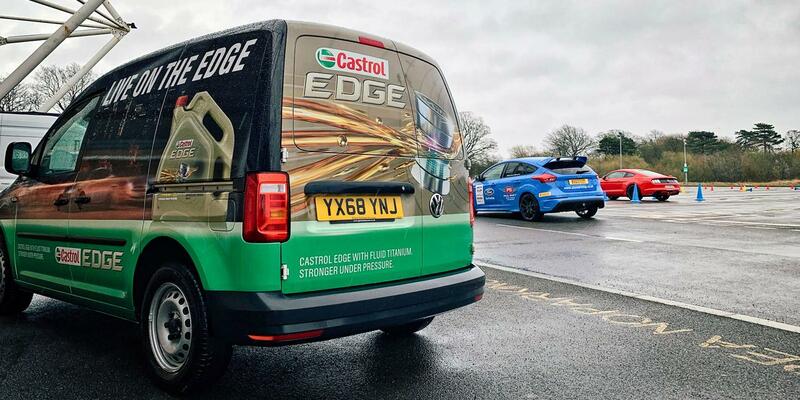 Global lubricants company, Castrol, chose Pure to develop and execute a micro marketing campaign to help raise awareness of the brand and boost sales across a new customer branch network. The objective of the campaign was to build strong relationships with the various branches, raise awareness of Castrol and its products. Pure appointed two brand ambassadors as ‘Castrol Champions’ and equipped them with the right tools and training to visit the new customer branch network. 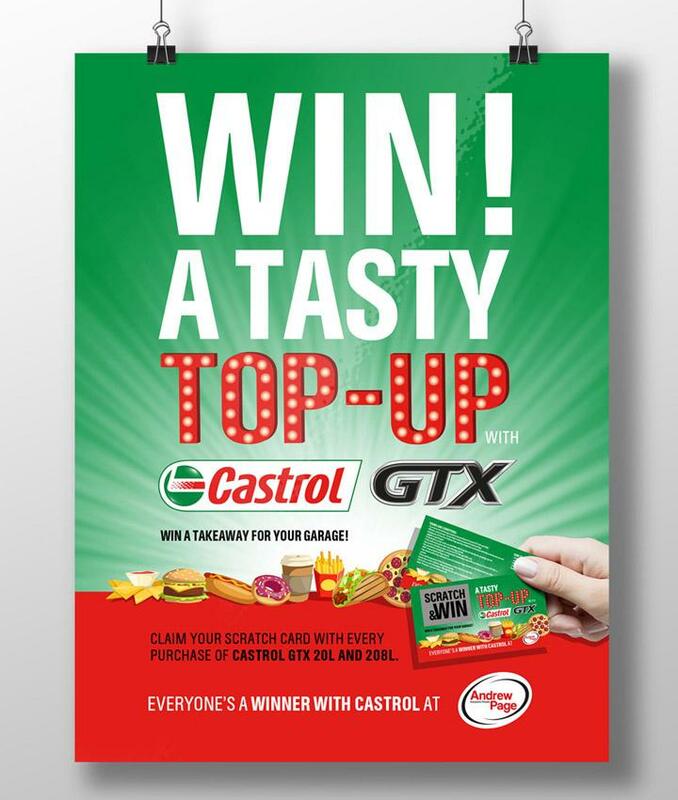 This was combined with an internal promotions campaign that encouraged the network to push sales of Castrol to garages. 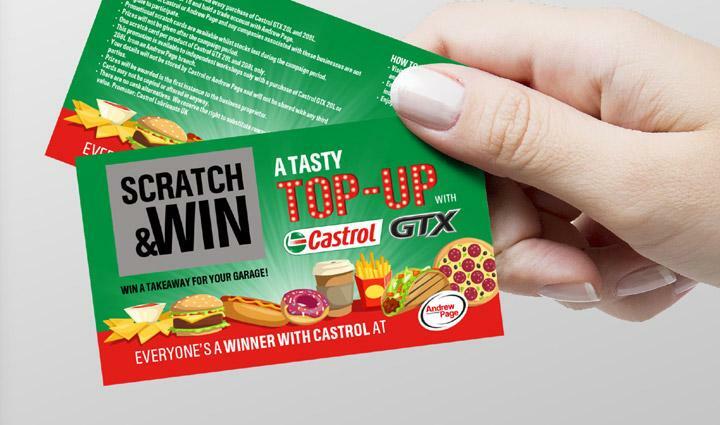 The promotional campaign was a two-pronged approach to create a push-pull effect by offering incentives for various roles within the network, as well as instant win prizes for garages when buying Castrol. 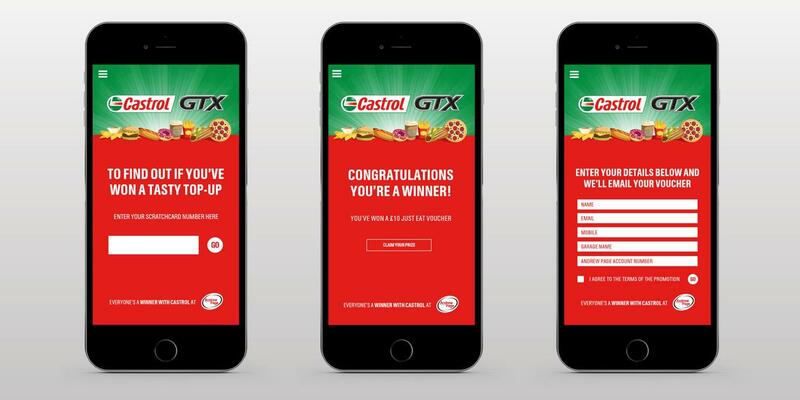 With each purchase, garages received a scratchcard with a code and link to a microsite that was designed and built by Pure. Garages would simply enter the code to find out what they had won. 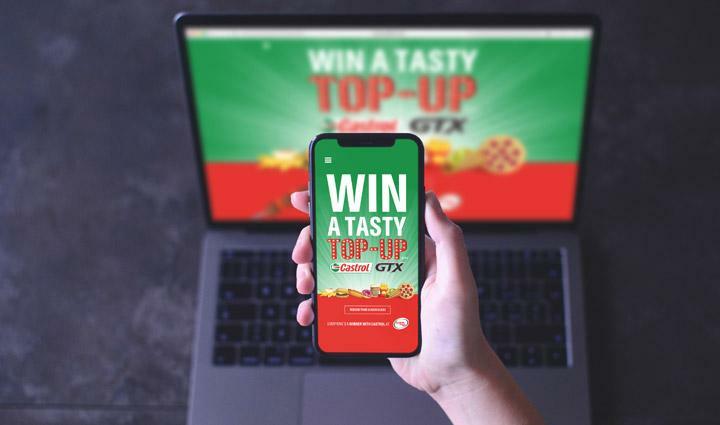 Instant win prizes included vouchers for Just Eat, Costa and Greggs, with every scratchcard a winner. There were different levels of prizes for the branch network, which offered rewards for the top performing branches, sales advisors and branch managers, including Paul Swift driving experiences, karting for the whole branch and the Renault F1 driving experience. The Castrol Champions were instrumental in helping to promote the campaign directly to the branches and garages. From recruiting and managing the Castrol Champions and developing all assets for the promotions to organising the prizes and attending events, Pure completely managed the entire micro marketing campaign. The campaign has been a big hit with the network with both staff and garages engaging with the brand. It has also created a solid foundation to build on for the next promotional campaign.